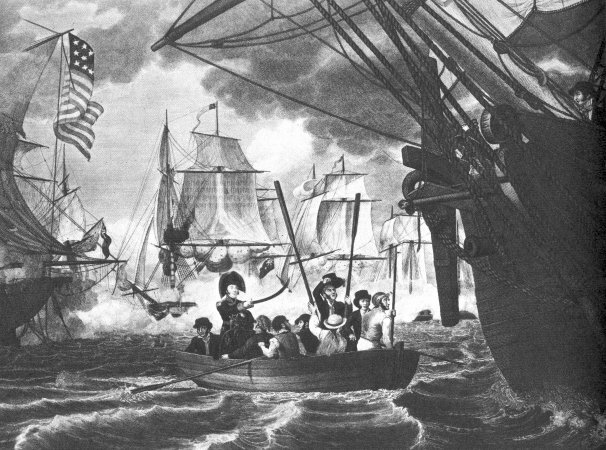 Below is Captain Perry on 10 September 1813, at the battle of Put-in-Bay (or battle of Lake Erie) being pulled across to receive the surrender of a British brig. Note the 11 stripes and ? stars.